Is your organisation trying to improve staff engagement and information sharing? Are your colleagues struggling to complete tasks and projects on time due to difficulty in finding the information they need? Is a new, dynamic intranet part of your organisation's Digital Transformation initiative? Upgrading your intranet portal is the answer to these challenges. Why Choose Microsoft for Your Intranet Portal? Office 365, SharePoint 2016 or SharePoint 2013 all come with features that can be configured quickly to broadcast updates and engage employees. 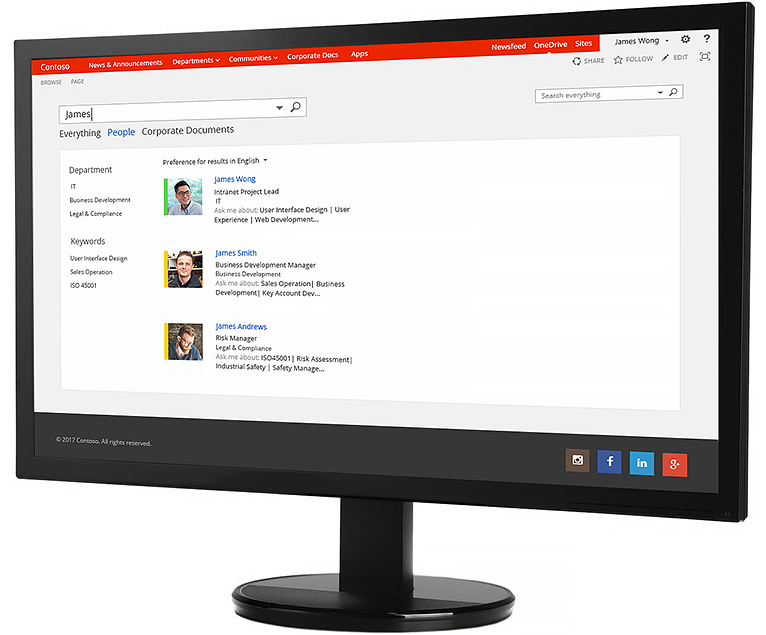 SharePoint Search provides an efficient search experience and helps employee find just what they need. SharePoint Site Calendar keeps the company up-to-date with latest events. Office 365 and SharePoint Libraries and Folders is ideal for sharing static information and managing access to it. Thanks to Office 365’s and SharePoint’s integration with Active Directory, your employees can find the colleague and expertise that they need – searchable by role, location, skills, etc . OneDrive for Business provides each user 1TB of storage, allowing them to store and file shares easily. Enable teams to collaborate efficiently with Project Sites. With Wiki pages, quickly capture and share knowledge company-wide, or just within teams. Tap into collective wisdom and get questions answered with easy-to-create community discussion board. Give your team bandwidth to do what they do best: creating internal buy-in, involving business stakeholders, and managing change. Let AvePoint support the rest. Avoid time-consuming and difficult-to-manage custom development. Utilise commercial-off-the-shelf applications for Office 365 and SharePoint to ensure sustainability. Users want to share intranet portal files with external partners outside of your organisation. IT wants to retain control. 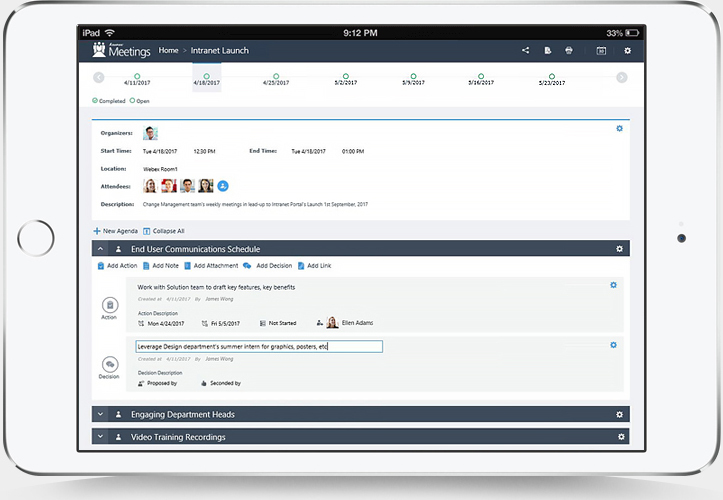 Users want a better way to manage meetings and track action items. HR wants to track and manage leave requests. Organisations trust AvePoint with their intranet portal design and development. 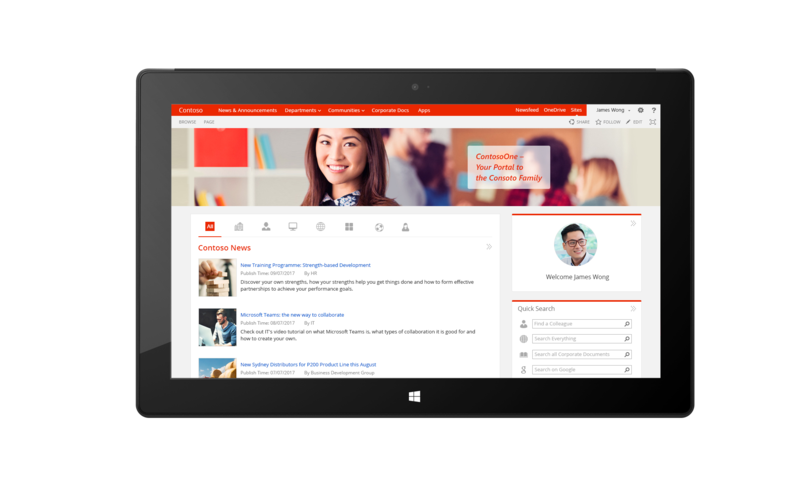 Office 365 Intranet Portal for NTUC First Campus. Built in 8 months. Servicing 3,500 users. Bi-lingual English / Chinese portal. SharePoint 2013 Enterprise Portal for INPEX Japan. Built in 6 months. Bi-lingual English / Japanese portal.